Durable and versatile dish from the French Revolt, in black enamelled porcelain that the feeling of cast iron. Resistant also dishwasher and microwave. The enamel is easy to clean. Choose from three sizes. 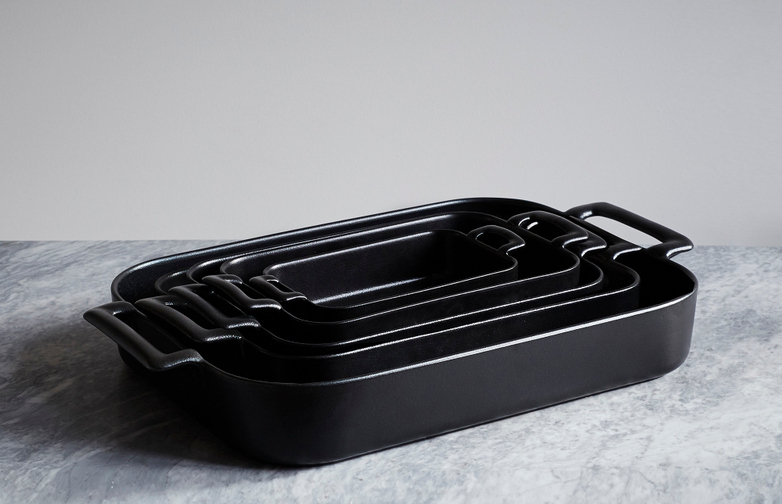 Durable and versatile dish from the French Revolt, in black enamelled porcelain that the feeling of cast iron. Resistant also dishwasher and microwave. The enamel is easy to clean. Choose from five sizes.